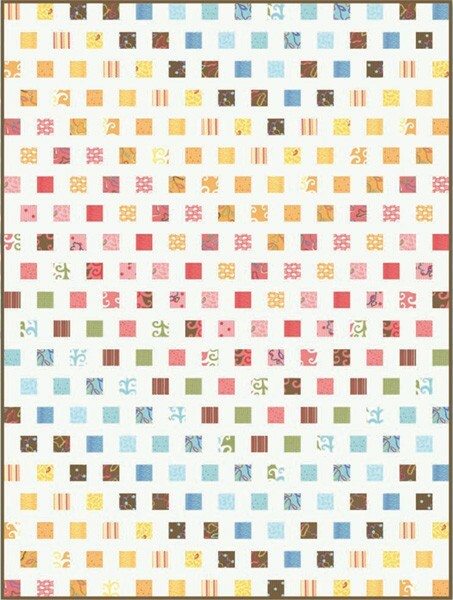 The colors and spectrum of the Oliver + S Modern Workshop fabric collection lend themselves nicely to the simple strip quilt that you can make from this free pattern. It’s a good project for someone who is new to quilting or wants a pattern that doesn’t take a lot of time. 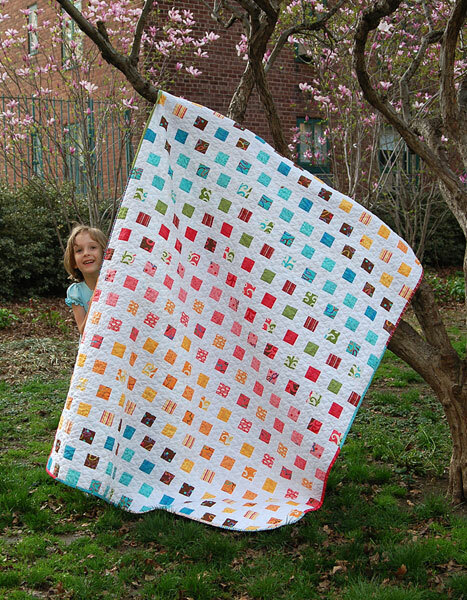 By staggering the pieced strips, the over-all pattern has an ombre effect, as you can see. 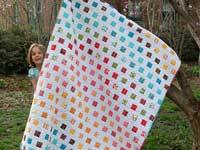 The quilt requires one jelly roll and additional fabric for the background and the backing.